Somewhere around the middle of its second world, the brawler veneer to Full Metal Furies begins to peel away. Underneath, you find something rather surprising. The familiar action loop that interrupts the ubiquitous screen-scrolling is not just a chance to mash buttons and eliminate foes, but a new configuration of recognizable patterns and enemy behaviors that feels designed to test your ability to quickly solve an ever-shifting jigsaw puzzle. It is beautiful, it is unique, and it is mad. It is also a glimpse into what these types of games could be. 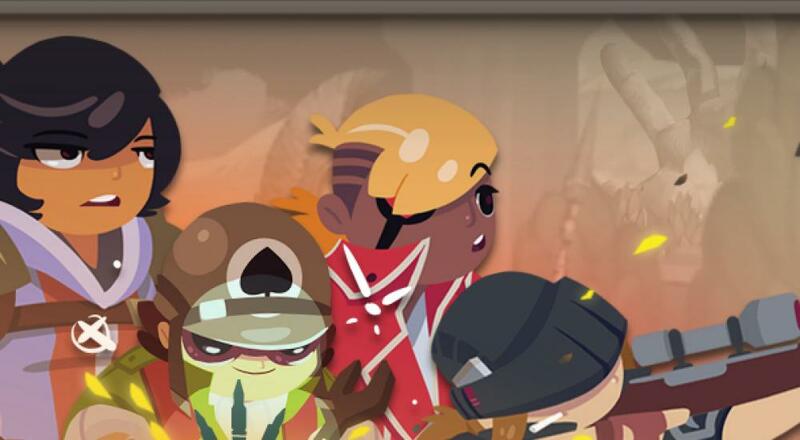 At its outset, Cellar Door Games’ Full Metal Furies feels like the kind of side-scrolling beat ‘em up that we’ve seen make a resurgence since Castle Crashers struck it big on the Xbox Live Arcade back in 2008. There are four characters from which to choose (Triss the Sentinel, Alex the Fighter, Erin the Engineer, and Meg the Sniper) and each of the four Furies has her own unique set of attacks (e.g., Alex is melee-focused while Meg shoots a sniper rifle). If you’re playing the game alone, then you’ll select two of the Furies and can freely switch between them, and if you’re playing with friends then each player chooses the Fury they like best (no repeating characters, unfortunately). Once you get into the first level, things appear pretty standard. You’ll move across a screen until you reach its edge and transition to the next one, and enemies appear in little groups that are easily dispatched by mashing the attack button. Then, a new concept is introduced. Every Fury has her own dodge mechanic to help her evade or escape enemy attacks, but it’s not something you can spam endlessly like your primary attack. There’s a cooldown attached to it, which means you have to think carefully about when you use it and how. Every Fury also has a special move (Triss, for instance, has a shout that hits all enemies within a radius around her) that similarly has a cooldown attached to it, and can also be used in clutch moments to get you out of a jam. Immediately after that idea begins to take root, Cellar Door tosses another new mechanic into the mix: Fury-specific shields. Each Fury has a color associated with her (Triss is blue, Erin is green, Meg is yellow, and Alex is red) and enemies can spawn with shields around them of the same color. In order to break the shield and leave the enemy vulnerable to all Furies, you have to attack the enemy using the appropriate character - red to red, blue to blue, etc. Fortunately, enemies will only have shields that can be broken by the Furies you have in your group, i.e., if you’re playing with Erin and Meg, green and yellow, respectively, an enemy won’t have a red (Alex) shield as you’d have no way of breaking it. From a gameplay perspective, this has some interesting results. In single-player, this mechanic forces you to switch back and forth between the two Furies you’ve selected, while in co-op it forces players to focus their efforts on specific enemies so their friends can damage those foes as well. These are the overt responses to the shield mechanic. Subtly, though, it’s forcing the player to make choices about which enemies are priority targets and which can be ignored (for now). None of these mechanics are exactly new to the brawler space, though they are more frequently encountered in shoot ‘em ups, and if that was all Full Metal Furies decided to do, then it probably would remain firmly within the realm of side-scrolling brawlers. But then, Cellar Door Games decides to take a sharp left turn. 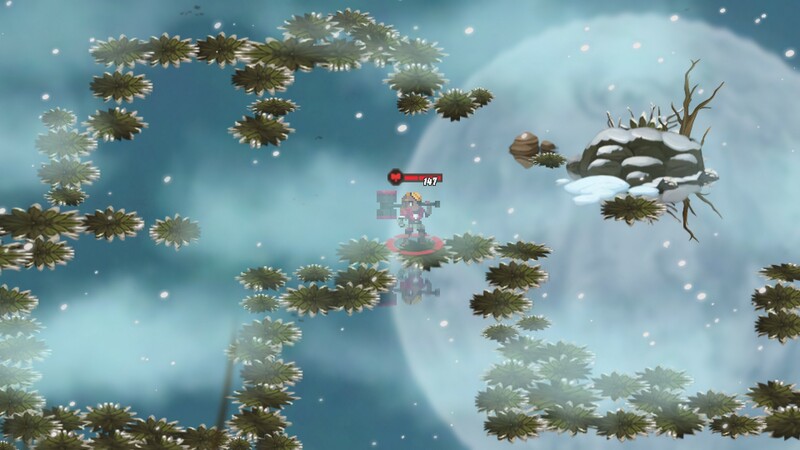 When enemies are knocked into the air, they can be hit again to inflict extra damage and keep them airborne a little longer (and, thus, not attacking you). What’s more, enemies will bounce off the borders/sides of the screen, meaning they’ll never be out of reach. The catch is that every Fury combos and juggles in a different way. Triss, the Tank, can knock enemies into the air with her basic attack, but she can only juggle them by using her dodge or her special attack. Both of those have cooldowns attached to them so you can’t just keep using them over and over again. If you’re playing the game in single-player, then you could switch to your secondary Fury and use one of her attacks/abilities to “Air Crit” the foes. In co-op, you can call out to your buddies in a fashion that’s reminiscent of Babe Ruth calling his home runs. You knock ‘em up, and your buddies knock ‘em down.